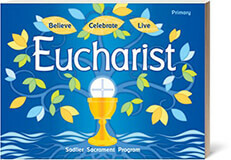 In 2017, William H. Sadlier celebrated 185 years of offering quality, catechetical solutions that faithfully present the teachings of the Catholic Church. 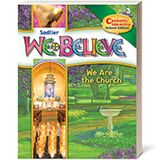 Sadlier Religion is proud to offer Believe • Celebrate • Live/Creer • Celebrar • Vivir sacrament programs which offer a multimedia approach to catechesis with engaging video, audio and powerful features such as Lectio and Visio Divina. 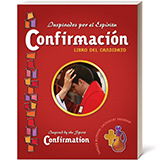 Our well-established parish and school catechetical program, We Believe Catholic Identity/Creemos, Identidad católica for Grades K–8, is grounded in sound catechesis and available in bilingual (Spanish/English) editions to fully address the needs of parishes serving Catholic Hispanic families. As the company continues to grow, innovate, and adapt, we've developed digital tools like our Sadlier Connect platform, your web-based access to program resources. But as always, we are committed to our customers, to ensure that all our programs serve your needs and help your students live out their Catholic faith. Sadlier recognizes people for their service to Catholic education and supports organizations in various ways. Learn more on our Awards & Community Outreach page. Back in 1832, two brothers, Denis and James Sadlier, immigrants from Ireland, began publishing materials to meet both the spiritual and educational needs of the Irish immigrant community. This began the story of William H. Sadlier, Inc. and a family-owned company that would be passed down across the generations and would continue to innovate and publish religion resources that serve the needs of the Catholic community. Sadlier has always strived to create pioneering ways to engage students in their faith. That started with individual titles like the Baltimore Catechism with Study Lessons and then the first catechetical series, On Our Way, published in 1955. 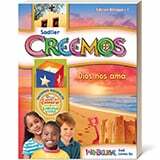 In 1973, Sadlier published its first bilingual Spanish-English textbook, Jesus Nos Dice—the very first bilingual religion program for the Spanish-speaking communities—communities which Sadlier continues its commitment to serving with Creemos, a bilingual catechetical series for Grades K–8. Today, Sadlier draws upon its 185-year history to develop outstanding programs. As believers and parents, as writers and editors, as catechists and teachers, the Sadlier family is grateful to be entrusted with supporting Catholic faith formation—for children, families, and the whole parish community. 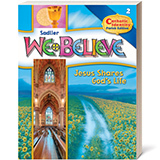 The latest editions of Sadlier’s We Believe, Grades K–8, infuse Catholic identity and incorporate Project Disciple activities that together encourage students and their families to be evangelizers by the way they live and uphold their faith. In addition, Sadlier Connect digital platform for We Believe provides access to program resources, eBooks, and online assessments that provide instant feedback, automatic scoring, and a robust reporting system to help track student achievement. Sadlier Connect also provides free resources for other Sadlier programs.